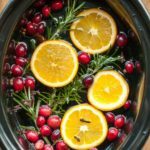 Use your slow cooker or stove top and make your home smell like Christmas with this Simmering Holiday Potpourri! 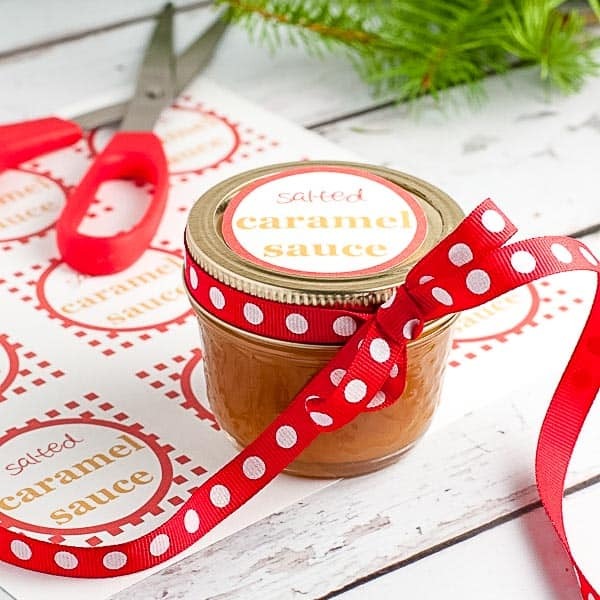 Wrap it up in small packages for gifts and attach a printable gift tag. As I write this, I have this simmering holiday potpourri in my slow cooker. My kitchen is filled with the warm, earthy scents of cinnamon, cloves, allspice, and oranges. It smells like Christmas! I decided to package this slow cooker simmering spice mix as gifts after I received a comment on my Instagram photo of my potpourri mix. One of my followers told me she had decided to make little boxes of this as gifts for her friends. I thought it was such a great idea, so I’ve included little printable “Scents of the Season” gift tags that you can print and attach to your packages, too. Recently, my brothers and I were recalling our childhood memories of Grandma’s freshly baked buns. Tuesday was Raisin Bun Day at Grandma’s and her kitchen was filled with warmth from the oven, butter melting on buns and one-of-a-kind grandmotherly love. Over the years, I’ve searched for her recipe in family memento boxes, but I have yet to find it. Our sense of smell evokes memories and brings back pictures as clear and sharp as if they were yesterday. Grandma’s freshly baked buns, evergreen boughs, and Black Magic chocolates are all scents that I remember from my childhood Christmases. Our olfactory system is situated in the part of our brain that is important for memory and there are strong neural connections between these two. 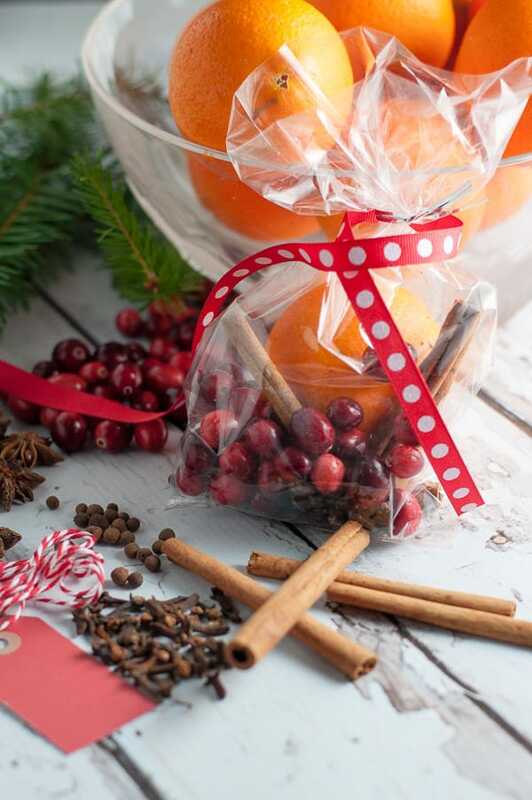 I hope you’ll get a chance this season to make this DIY holiday potpourri. Bring back some happy memories of past Christmases! Your friends and relatives might appreciate a small package of this, too. Find the instructions and free downloadable, printable gift tags below. The recipe includes amounts for one package, so if you want to make a large quantity, just adjust the amount by using the little slider when you click on the Servings in the recipe card below. All the recipient has to do is add a few cranberries and some slices of fresh orange to the dried mix. 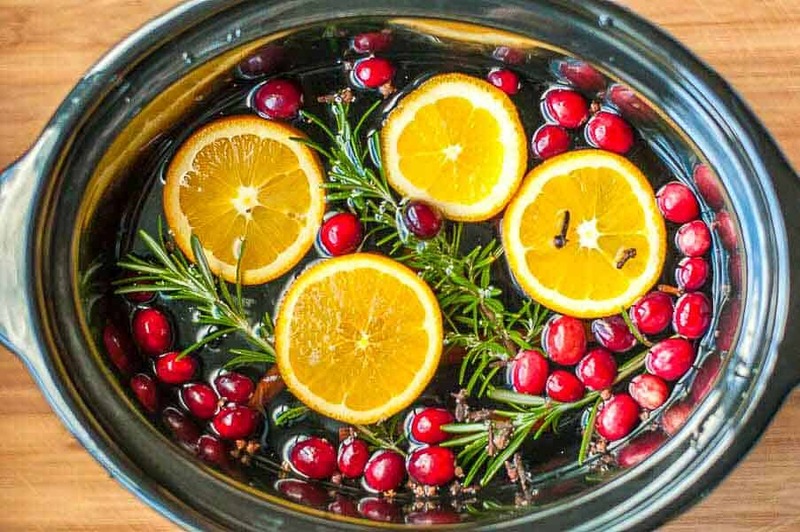 It can be gently heated on the stovetop or in a slow cooker to fill your home with the scents of the season! You can also dry orange slices in the oven or in a dehydrator if you want to add them to the package. 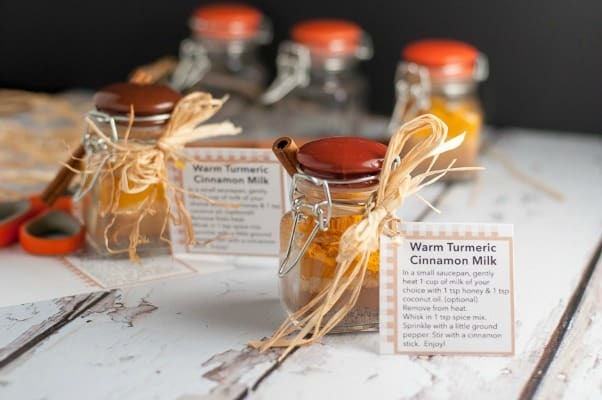 A package or jar of this simmering spice mix would be a welcome hostess gift, teacher gift or neighbour gift. You can prepare it well ahead of time. A win-win! 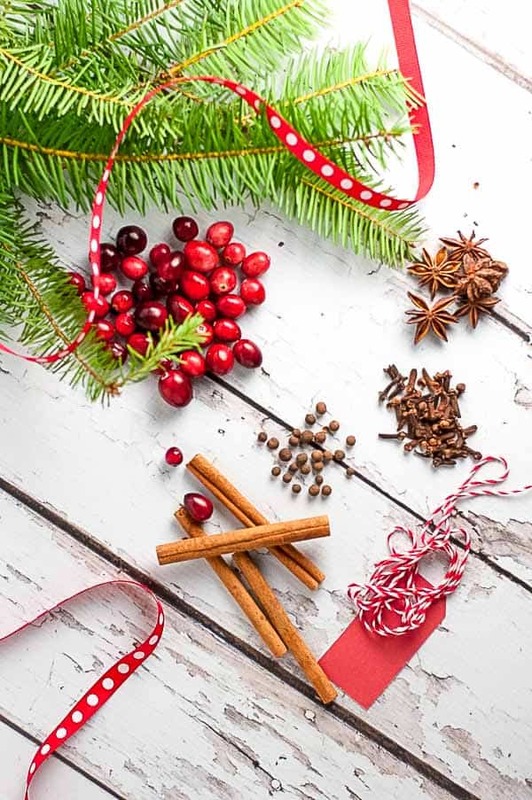 Make your home smell like Christmas with simmering holiday potpourri in a slow cooker or on a stovetop. Package for gift-giving and add one of the printable gift tags provided. ml a clear bag or a 250 (1 cup) Mason jar, or a recycled jam jar. 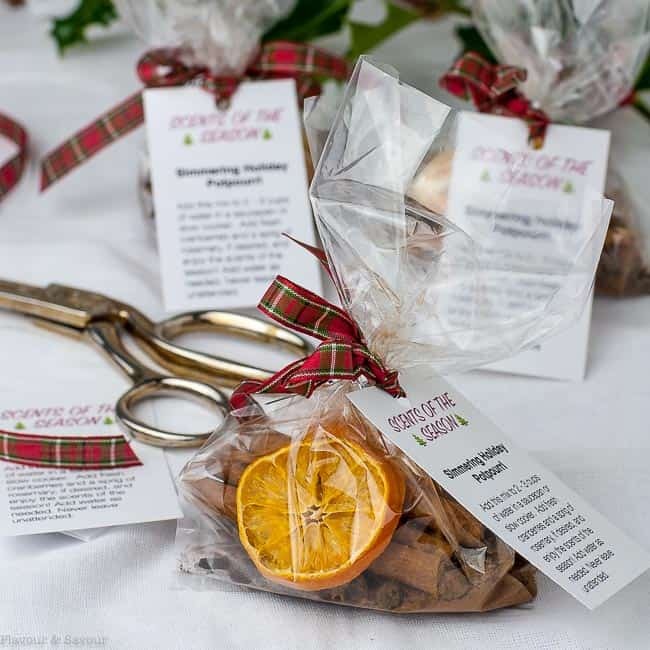 To make a dried mix package, don't include the cranberries or fresh orange slices. You can add extra ground cinnamon, cloves and allspice to the mix too. The ground spices will release their scent faster. If including the cranberries and orange, keep refrigerated until gift-giving time. Don't include the ground spices, as they will stick to the orange and the cranberries. Add the dried mix, fresh cranberries and sliced orange to 2 - 3 cups water (or apple juice) in a saucepan or slow cooker. Simmer over low heat. Never leave unattended and add water as needed. This mix will last for several days. Looking for other gift ideas from your kitchen?